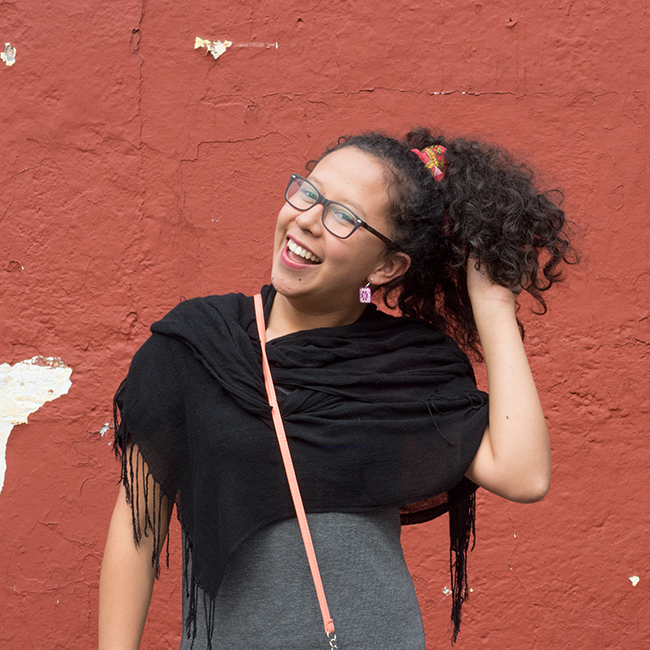 Did you know that over 50% of the residents of Mexico City have curly hair?! Yep, over half of the population has some sort of textured hair due to their Indigenous, Latin American, & Native American backgrounds. Even famous Mexican surrealist painter Frida Kahlo painted a self-portrait of herself with a tiny curly fro, as a symbolic reference to her taking back her power during one of her bouts with Diego! Recently, NC Social Media Manager Leslie and I took a trip to Mexico City, as a cultural immersion experience to learn about pelo chino and curl acceptance in the city. With the help of curl expert Rebeca Serur, Co-Founder of Urban Curls Salon (the first hair salon dedicated to curly hair in Mexico City) as our guide, we were really excited and anxious to see the different textures, styles, and curly community in another country. Everyone we photographed was even more thrilled to have their rizos recognized and jumped at the opportunity to showcase their hair and personal style! Peep our roundup below of waves, curls, and coils in Mexico City, showing just a small taste of the diverse community in Latinx culture!